In Jamaica, the Marley name garners the utmost respect. And soccer – football to the locals – is one of the Caribbean island’s most popular sports. But women’s football is a different story. Ten months ago, Jamaica’s national women’s soccer team didn’t even exist. The team was disbanded in 2008, the same year they failed to get out of a group with the United States and Mexico in Olympic qualifying. Since then there’s been a World Cup and another Olympics, but the Reggae Girlz watched even qualifying events for those from the sideline. Jamaica, however, finds itself in the final round of World Cup qualifying – which begins this week – just a few months after restarting the program after the nearly six-year hiatus. They finished second at the Caribbean Cup in August. 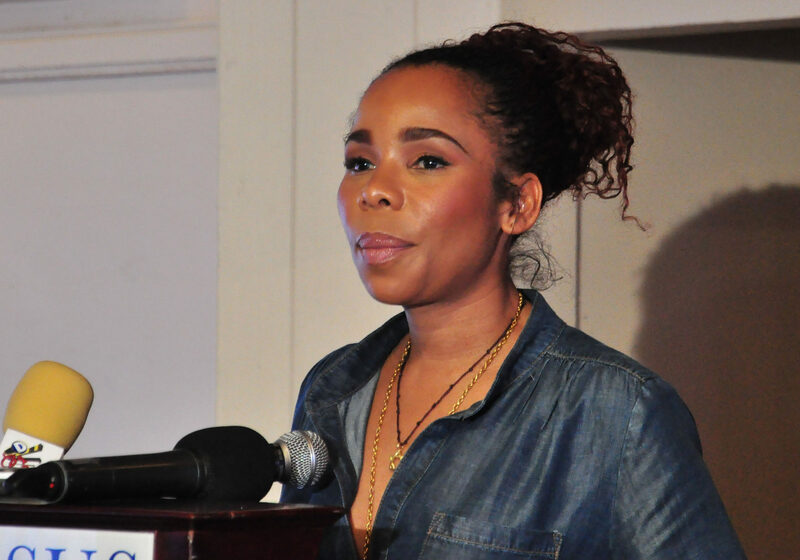 The team returned to competitive play earlier this year thanks to the backing of its federation and a high-profile ambassador: Cedella Marley. Marley’s late father, Bob, is indeed that Bob Marley – the Jamaican icon who gained international acclaim for his reggae music in the 1960s and 70s. Cedella Marley is the ambassador for the newly revived Jamaican women’s team, raising awareness and encouraging development as much as she provides for the team financially. She heard about the team earlier this year through her 11-year-old son, and figured she would just write a check or give a speech to help out. “But obviously the universe had different plans for me,” she said. The incentive to help women from her home country thrive drew her closer to the team. Marley, a Miami-based entrepreneur who sings, writes, acts, designs fashion – does just about everything – quickly became more involved. She’s often at training and comes to pretty much every game. While she’ll miss Thursday’s World Cup qualifying opener in Kansas City due to business, she plans to be there for the remainder of the matches. Players and coaches describe her as a mother, a sister, an aunt. They see her as one of them – as someone who keeps herself humble, Jamaica captain Alicia Wilson says. Marley’s involvement with the team has without doubt brought it attention it otherwise would not receive. That has put fundraising efforts in front of eyes that have delivered over $200,000 between two different campaigns (one ended, while one is still open and well short of its $750,000 goal). Wilson knows what a difference Marley – along with the Jamaican Football Federation’s reinvestment in the team – has made. Wilson began playing for the national team in 1999. Things weren’t always this good (her coach says the federation backs the team “100 percent”), and since 2008, there was nothing at all. Doctors, trainers, per diems – those are hardly givens for women’s soccer players in the Caribbean. Trinidad & Tobago players have never been paid, often going with little food and sometimes even training without water. Haiti’s situation is comparably dire, which recently caught the attention of Bill Clinton’s charitable foundation. Haiti, Jamaica and Trinidad & Tobago all aim to become the first Caribbean nation to ever qualify for the Women’s World Cup, which takes place next year in Canada with a newly expanded field of 24 teams. (Martinique qualified for the CONCACAF Women’s Championship but cannot qualify for the World Cup since it is not a FIFA-sanctioned federation.) Jamaica will play Costa Rica, Martinique and Mexico in group play, starting Thursday, with the top three teams at the tournament advancing to the World Cup and the fourth-place finisher earning a two-match series vs. Ecuador for a final berth. To get to that point, Jamaica needs to finish first or second in the group. On the field, the Reggae Girlz are a team that is driven by working hard for each other. “Togetherness is always key,” Gordon says. “We just have to play as a unit and not play with stars. But on paper, there is one player that catches the observant eye more than others. Shakira Duncan was the team’s leading scorer during Caribbean pre-qualifying, scoring 14 goals, twice the amount of the next-closest scorer from any country. Duncan, however, humbly deflects the credit to her teammates – “I haven’t had to do anything miraculous, so it’s all on them,” she says. Marley is part of that team. So is her family, especially brothers Stephen and Damian, who helped write and sing the team’s theme song, “Reggae Girlz Strike Hard.” The family businesses and friends of them – House of Marley, Island Records, Marley Coffee, Tuff Gong, Universal Music, Garden of Life – are all involved in raising funds and awareness as well. It’s truly a family affair. “Imagine that you are sleeping and somebody is so into your program that you are sleeping and they are out there raising money for you. That’s amazing,” Duncan said. Just like with any teammate, players don’t want to disappoint Marley, so much so that injured players try to practice when she is at training, Marley said with amazement. 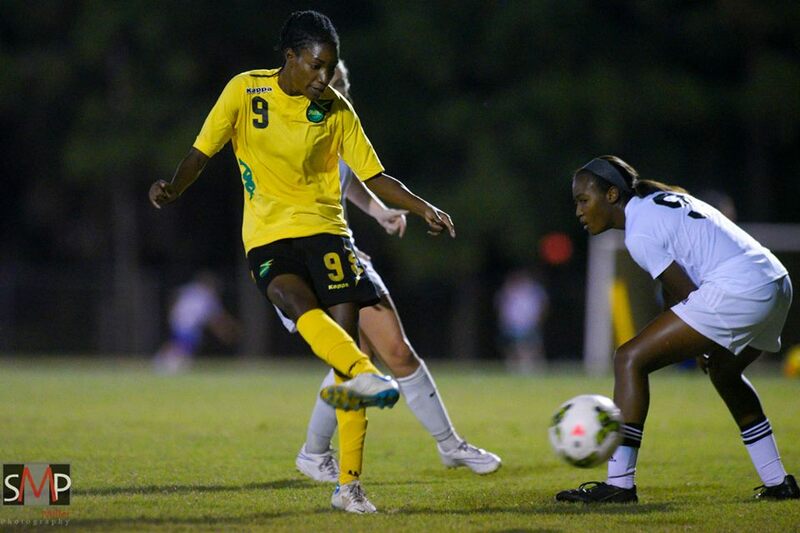 Jamaica, with the help of Marley, hopes to do exactly that at World Cup qualifying this month.